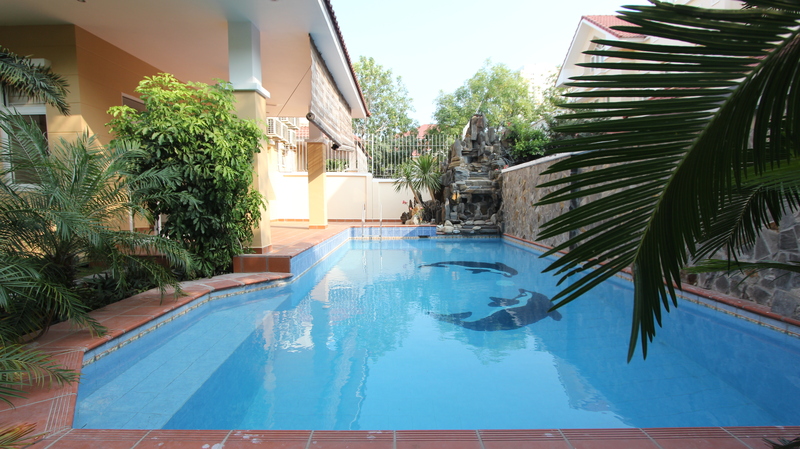 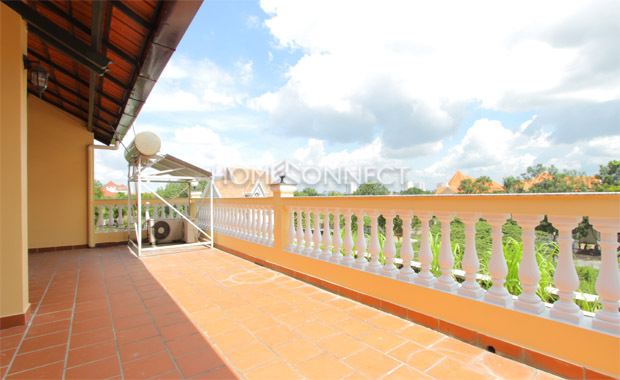 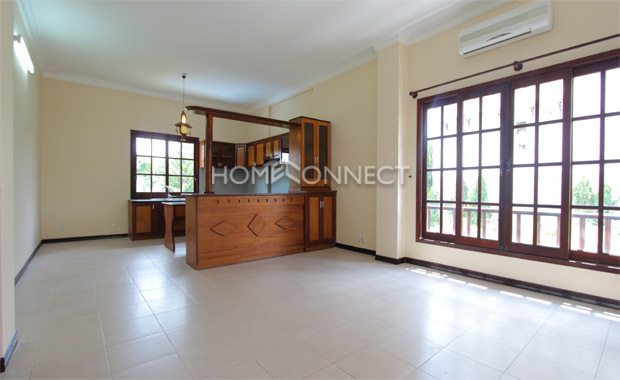 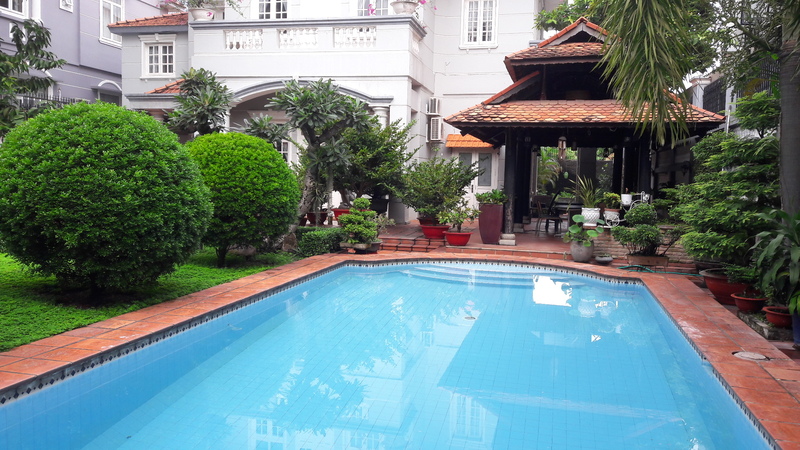 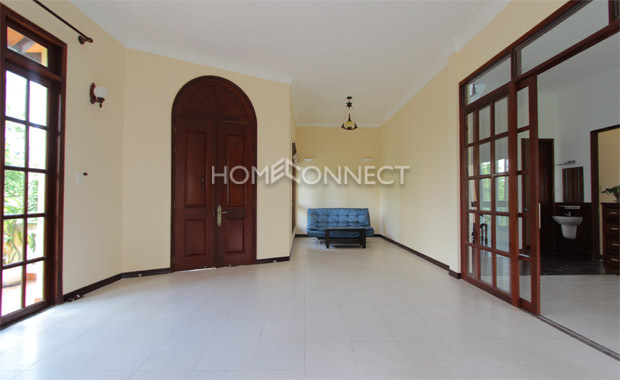 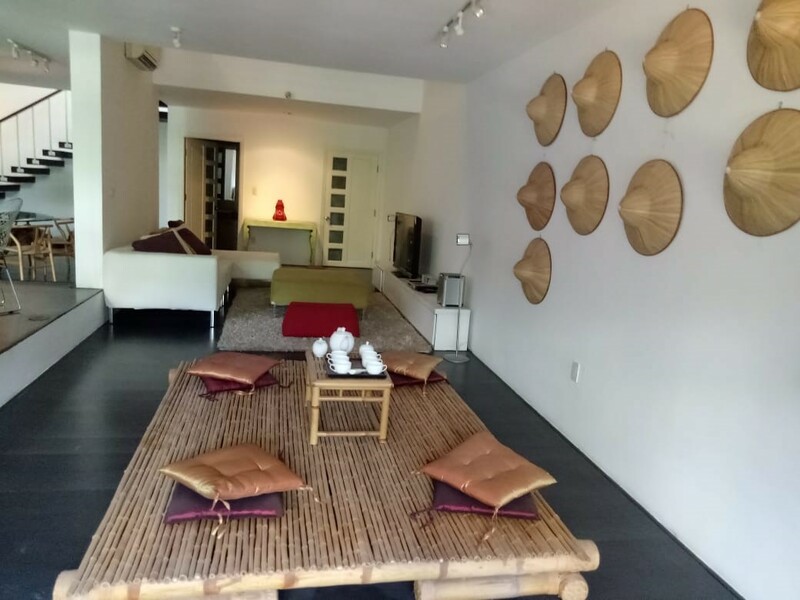 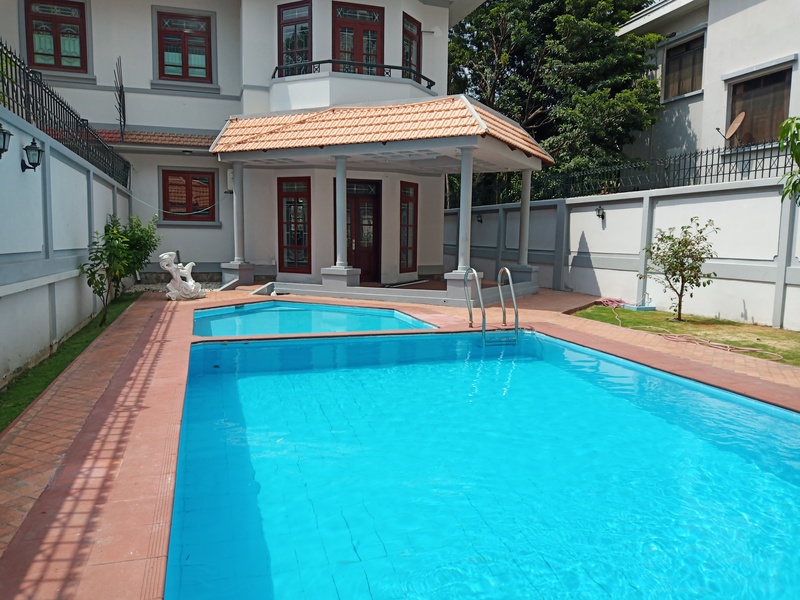 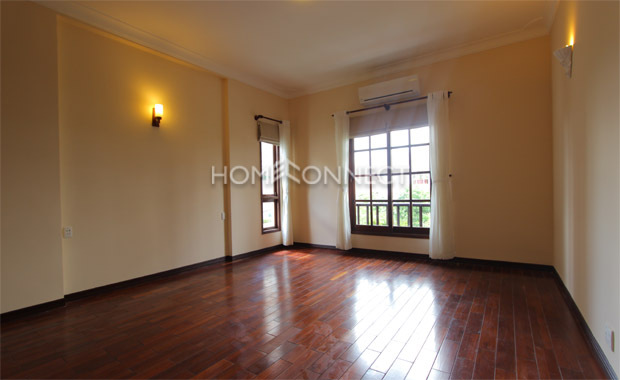 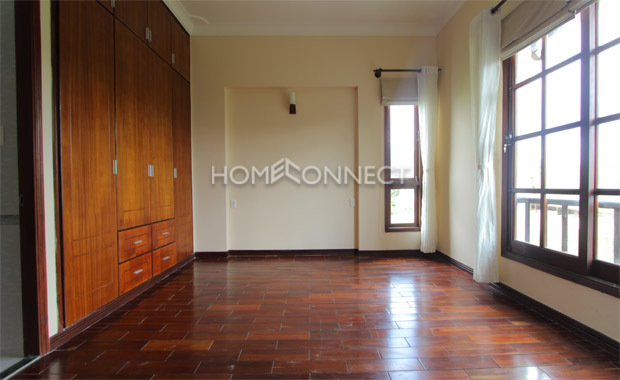 This spacious private villa for lease in thao dien is ideal for a large family desiring a perfect hideaway from the bustling city. 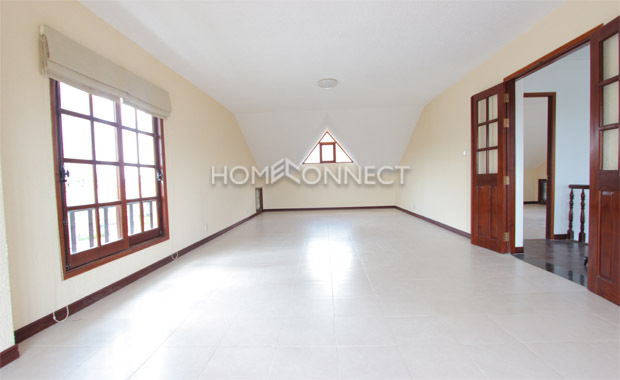 This unfurnished four-bedroom and five-bathroom home at 400 square meters awaits to be occupied and decorated according to the renter’s taste and preference. 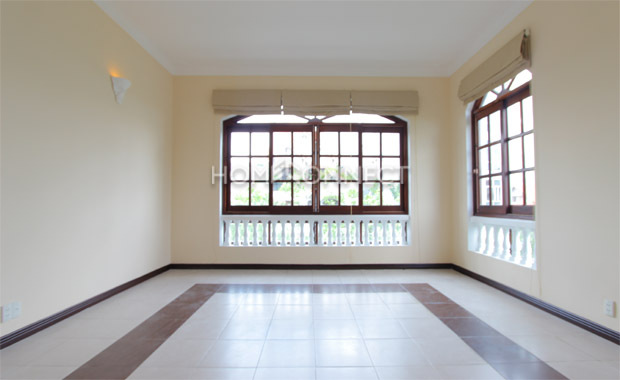 Smooth marble floors, colored painted walls, high ceilings, and large glass windows give this residence a calm and relaxed environment. 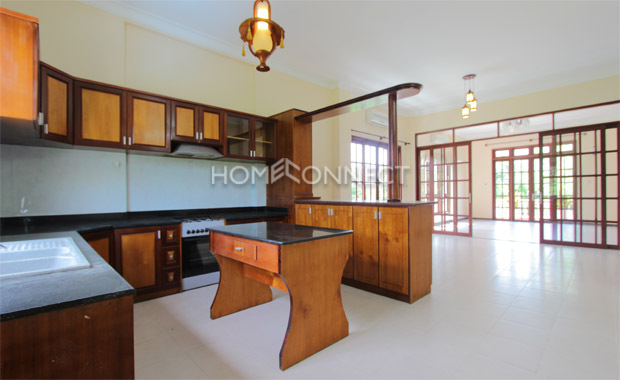 This two-storey house boasts of a fully functional kitchen fitted with granite countertop, wooden cabinets and drawers, sink, cooking range, hood, microwave and toaster. 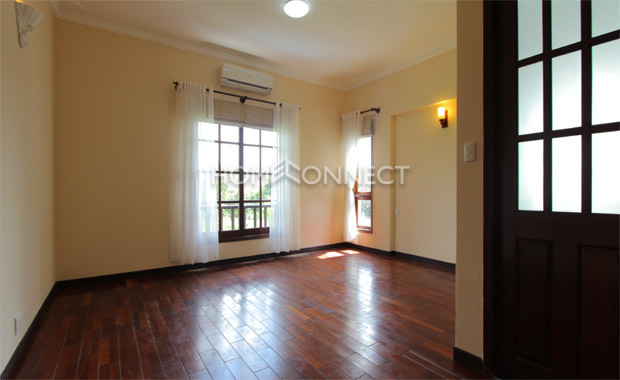 The bedrooms are on hardwood floors and have huge windows.. 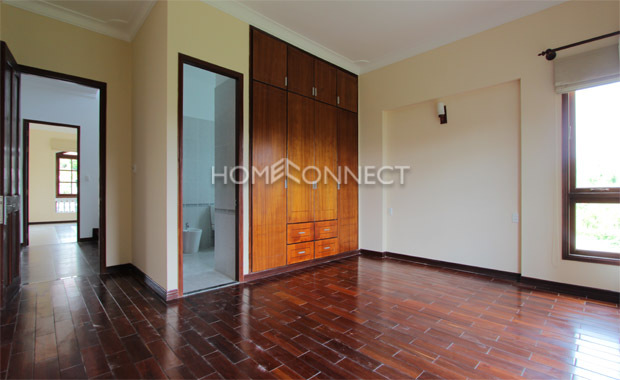 The bathrooms are equipped with ceramic tiling have shower/bathtub amenities, sink vanities, mirrors, and shelves. 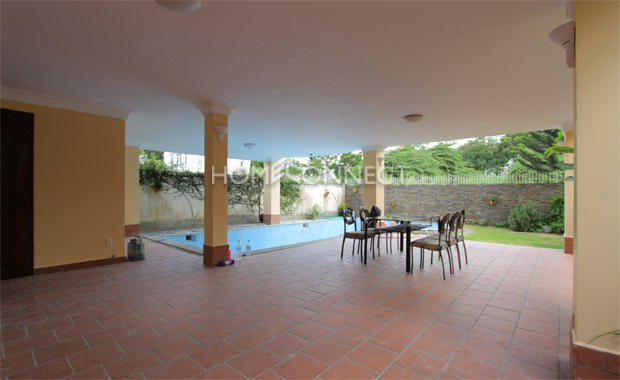 Facilities in this exclusive house include, surrounding stone walls, brick paved entryway, covered parking, beautiful swimming pool, maid’s quarter, BBQ area, porch, laundry and storage room. 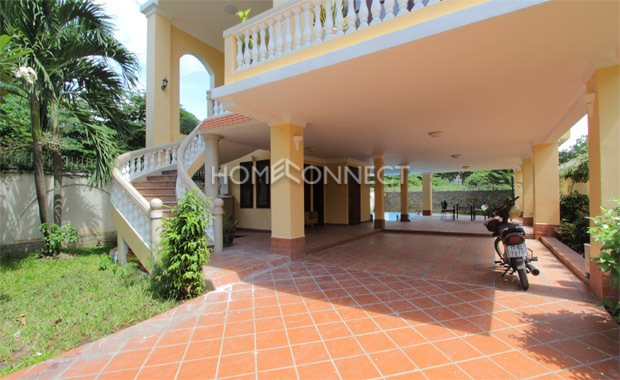 Location of this gorgeous home for rent is relatively close to many reputable international schools, medical clinics, supermarkets, imported goods, furniture stores, and is only 15 minutes away from the city center.